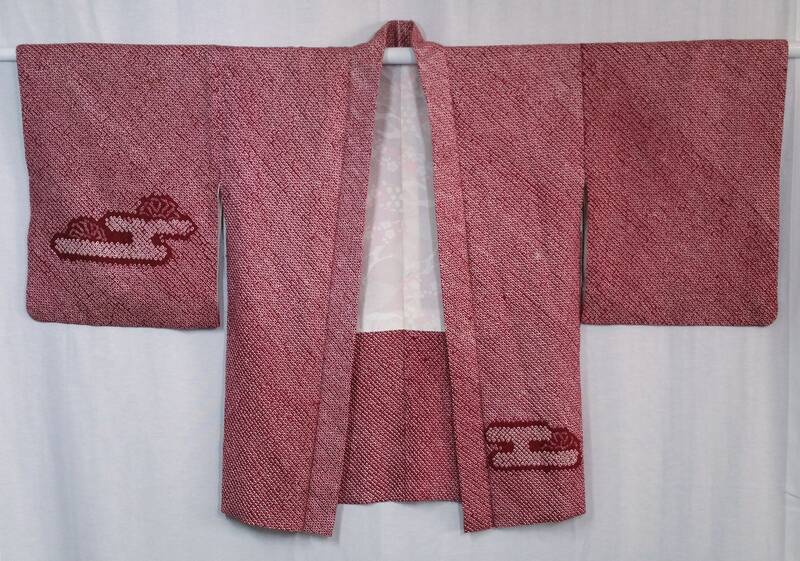 This beautiful, vintage Haori jacket is in excellent condition. I do not see any stains or holes on this jacket. There are a few flaws in the shibori. Please read the description to learn about these flaws. 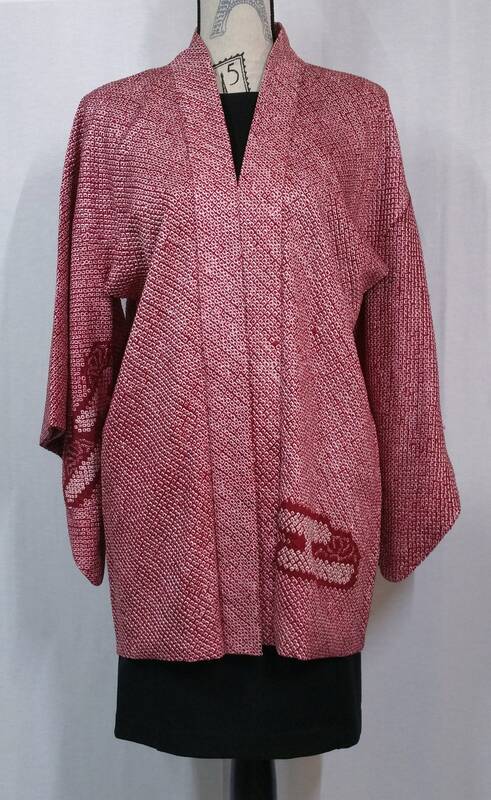 Haori jackets are generally worn over kimono but these jackets also look beautiful over a simple pair of jeans. The jacket would also look beautiful with a dress. This shibori jacket is a little lighter weight than other haori I offer. It is the perfect weight for a cover-up on early or late summer evenings. I would say that it is a light to medium weight. This jacket does not have closure ties. 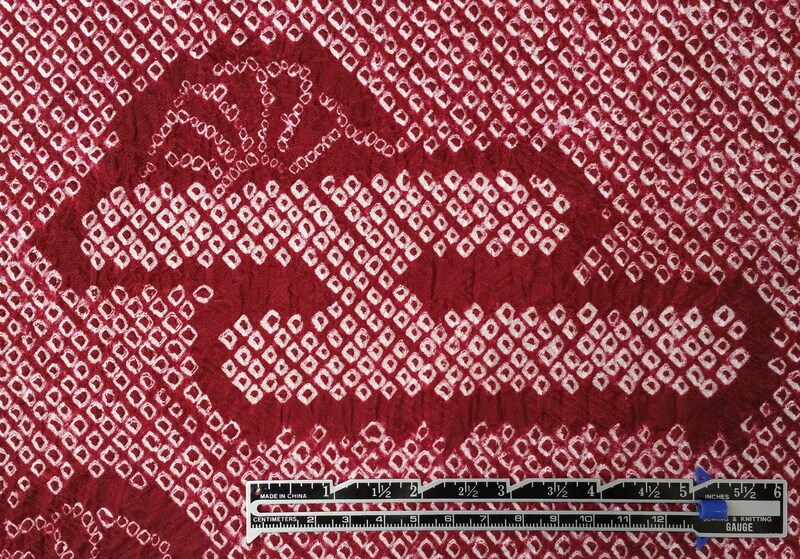 Although haori are often worn without ties, ties (Himo) can be purchased and added to the loops on the jacket. 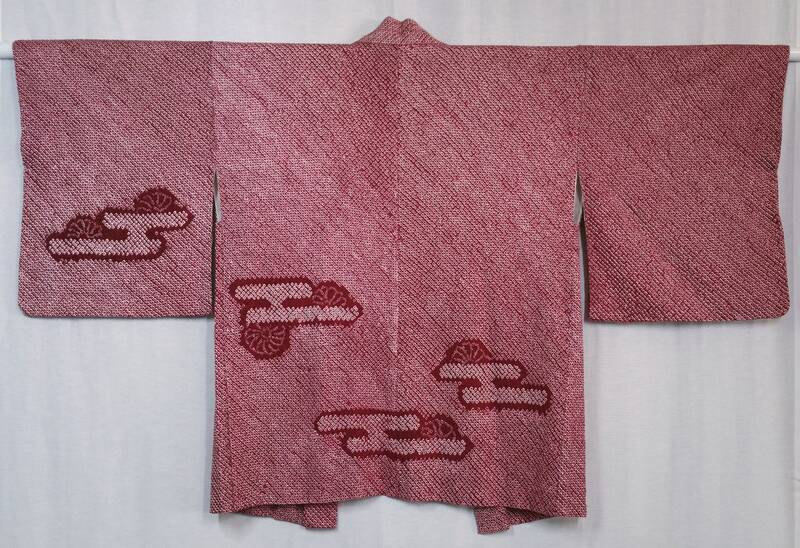 This haori is created out of silk and also has a silk lining. 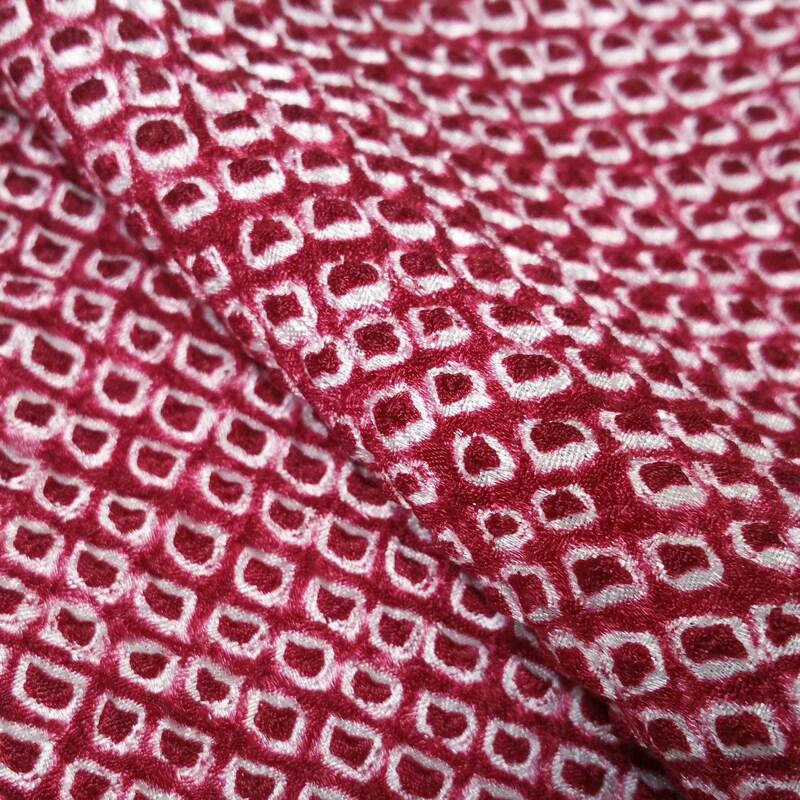 Beautiful deep red and white colored shibori (tie-dying) covers the entire jacket. The shibori creates a unique and wonderful texture on the silk. 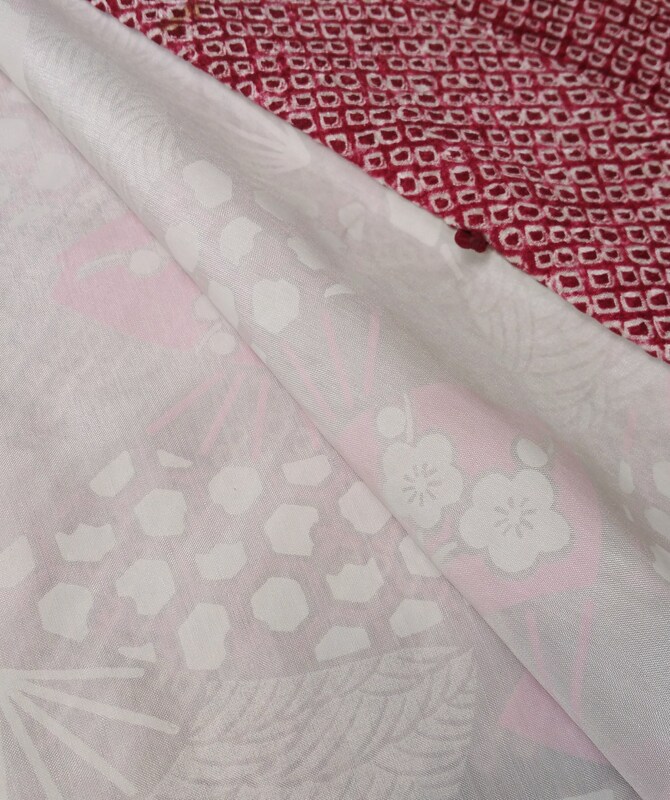 Shibori was also used to create egasumi (clouds or fog) and a chrysanthemum design. The egasumi and floral design is on the right sleeve front, lower left front, left sleeve back and back of the jacket. The last photo shows the color of the jacket most accurately. 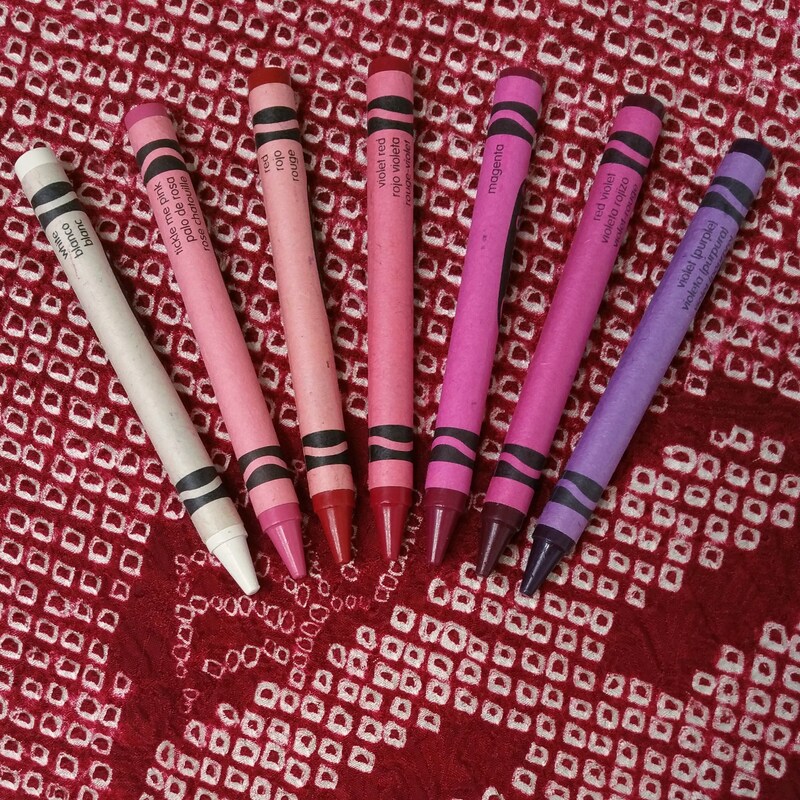 Crayola brand crayons were placed in the photo for a color comparison. The red color of the jacket is not a bright red. 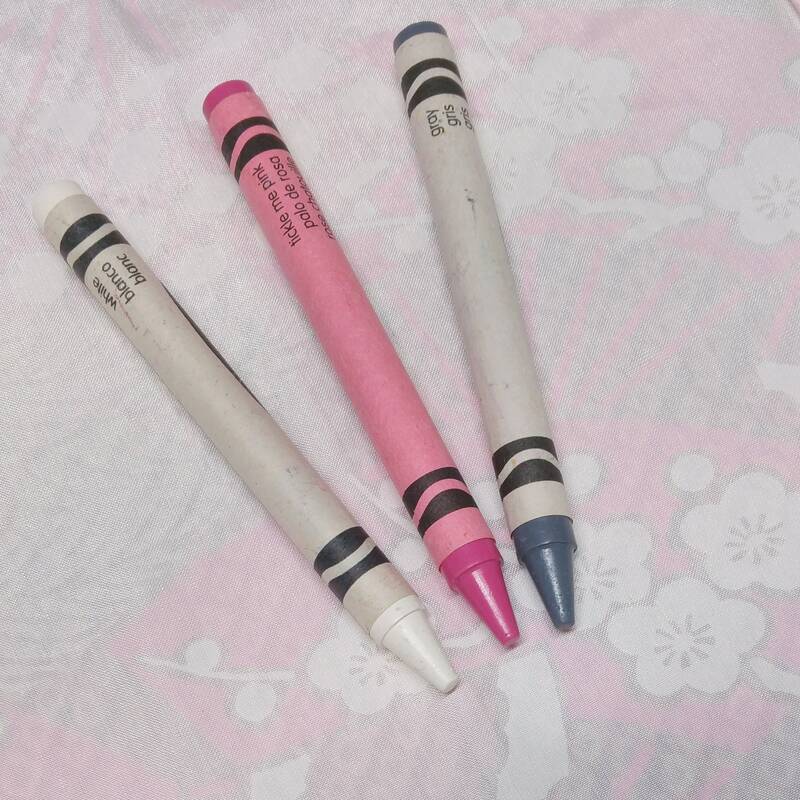 It matches the color of the violet-red crayon most closely. The silk has a slight sheen so that the red color will appear darker or lighter depending on the reflection of the light. 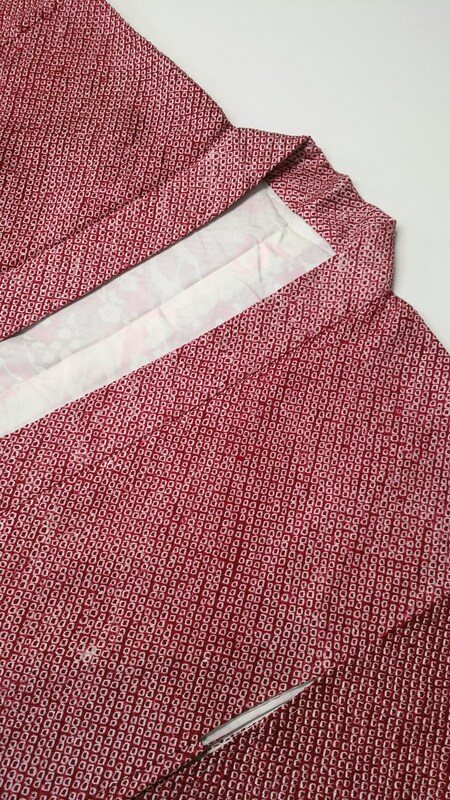 The lining was created out of a white colored silk with a printed pink and pale gray design of folding fans. 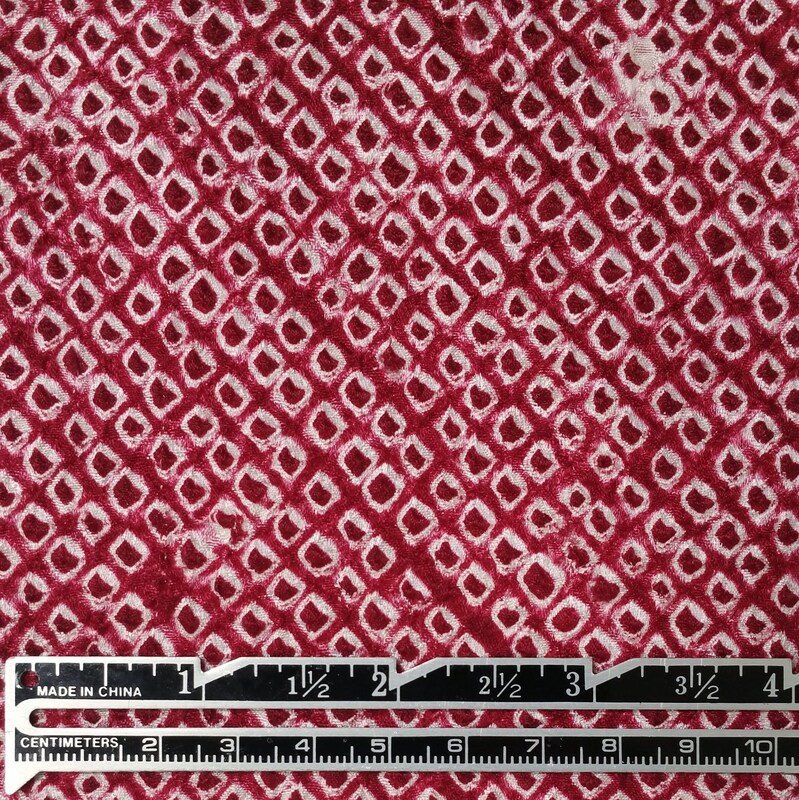 The 9th photo shows the colors of the lining most accurately.